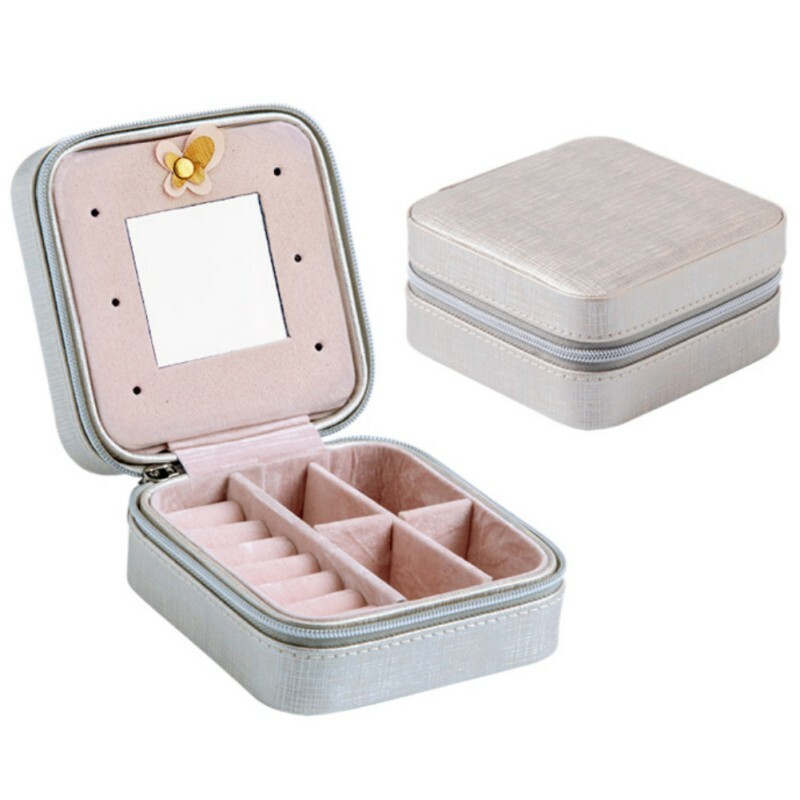 Made by Deluxe PVC synthetic faux leather exterior, Soft velvet Lining and Durable zipper head. 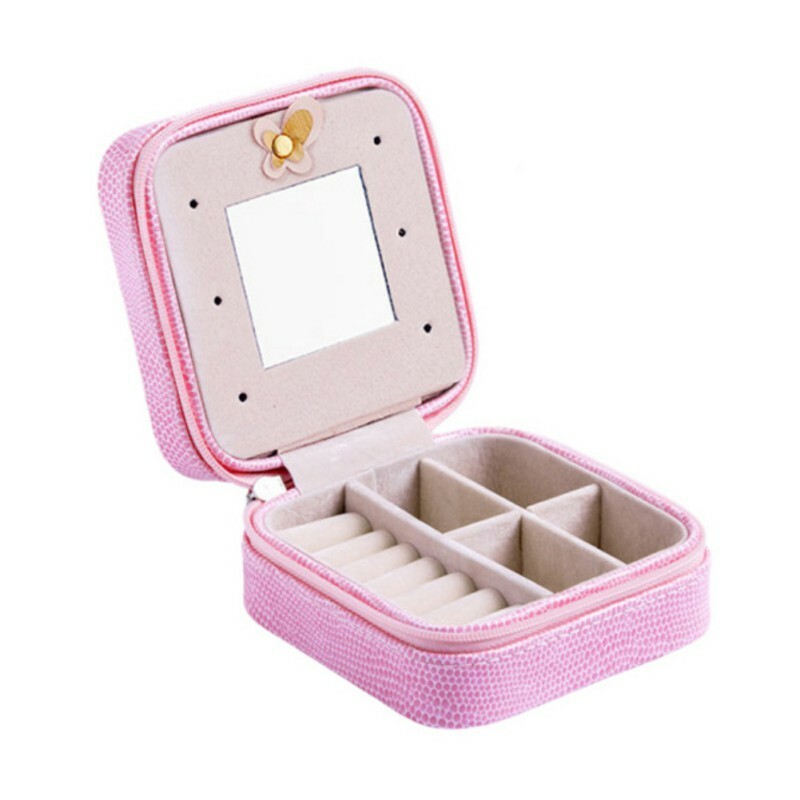 Size: 3.93" (L) x 3.93" (W) x 2.16" (H) / 10cm (L) x 10cm (W) x 5.5cm (H). Simple and compact design. 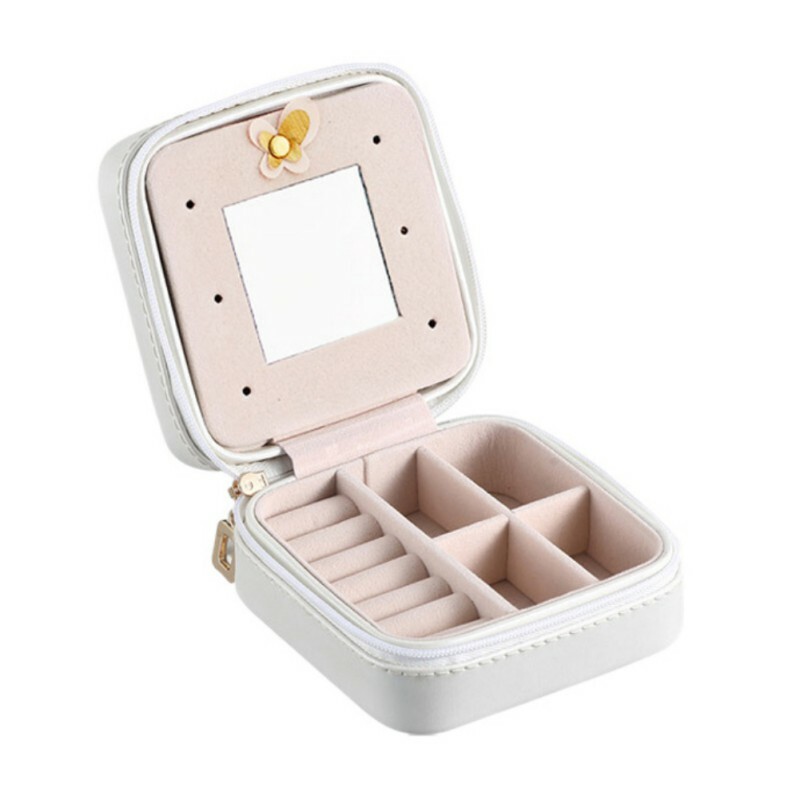 Well-constructed and sturdy, exquisite small size to be put into handbag, keep all your beloved jewelry well organized with this jewelry organizer. 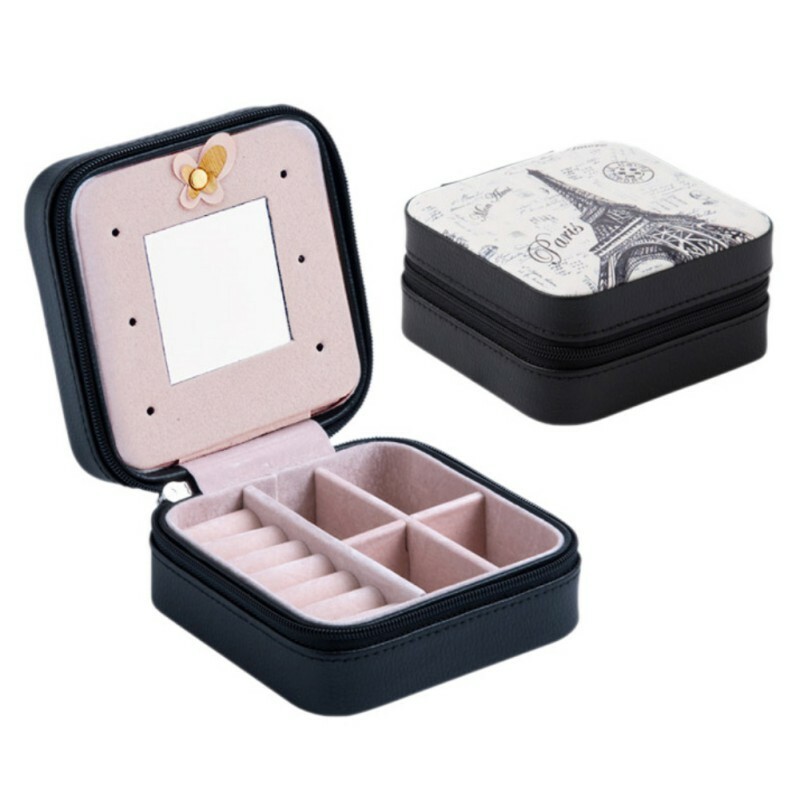 This portable mini jewelry box is specially designed for travel, journey and space saving. 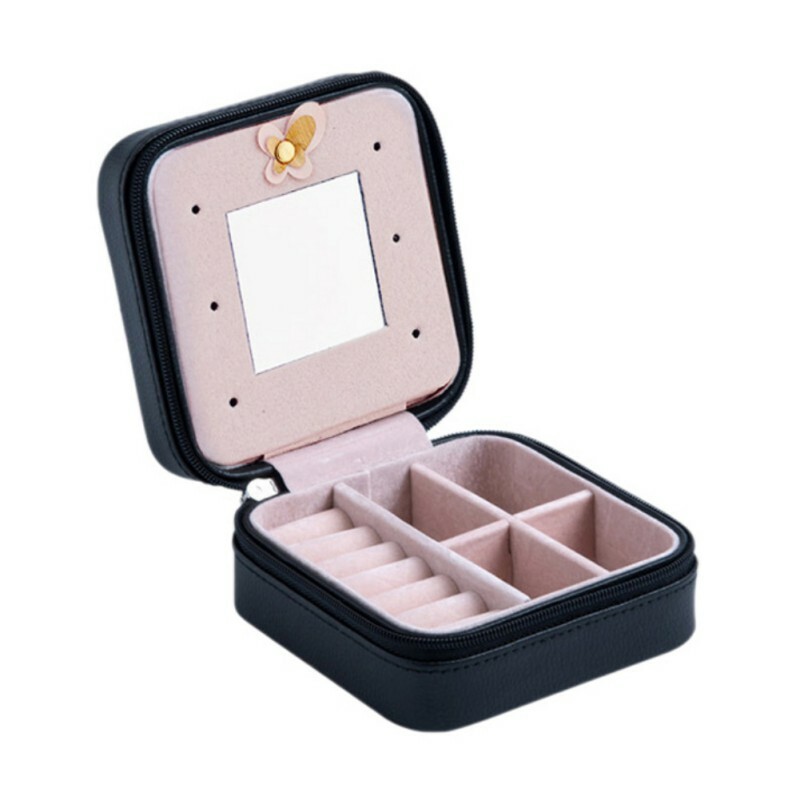 Exquisite small size to be put into handbag so jewelry stop tangling in a bag. 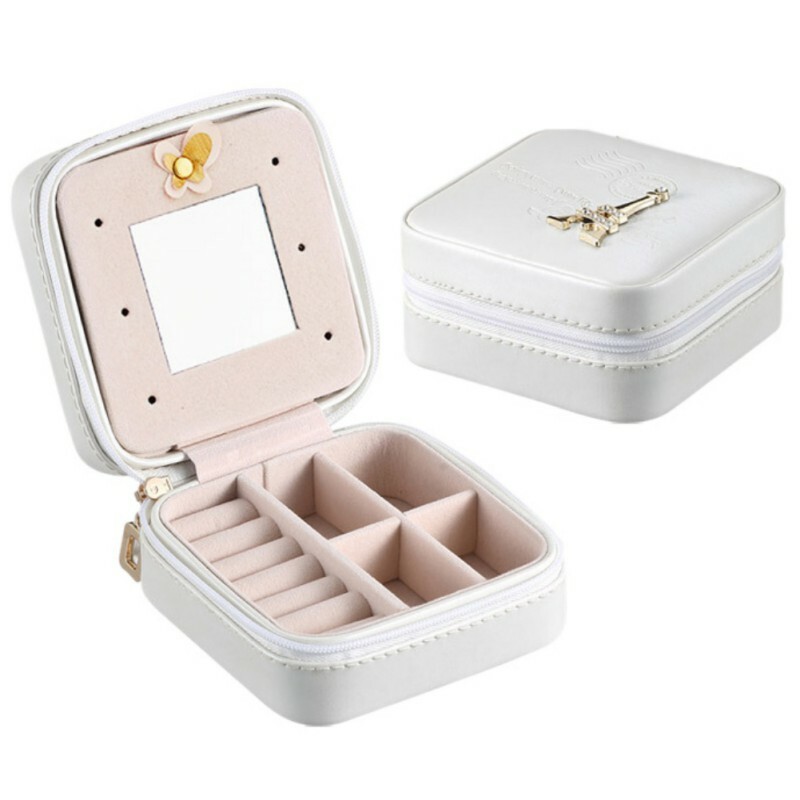 Start jewelry organized with this jewelry case. 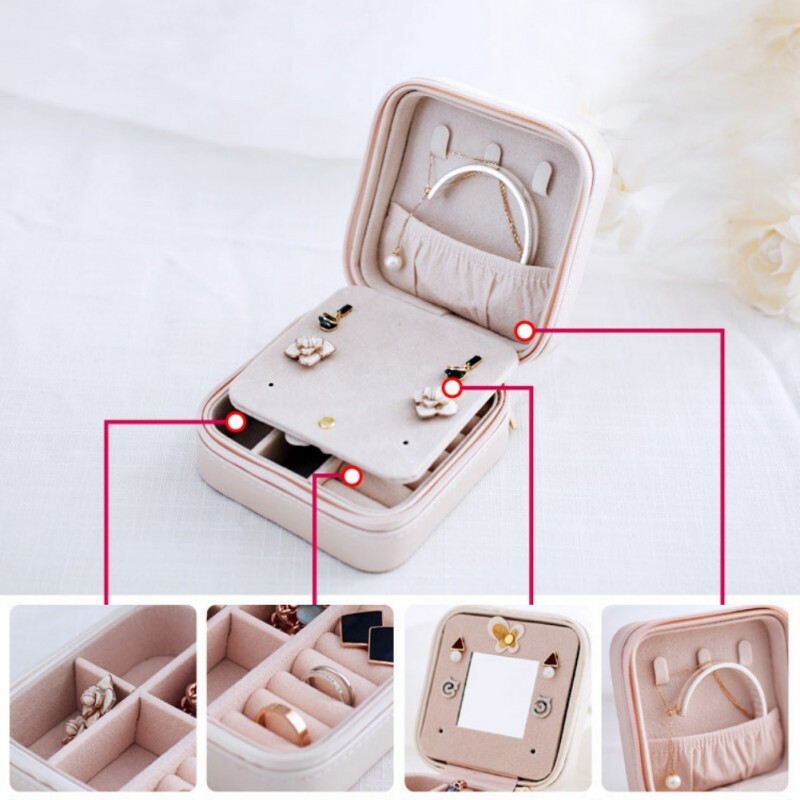 Organizer for rings, necklaces, bracelets, earrings, ear studs, hairpins, cufflinks, etc.A great gift for your mother, girlfriend, wife, daughter, classmates, colleague, friends and so on. 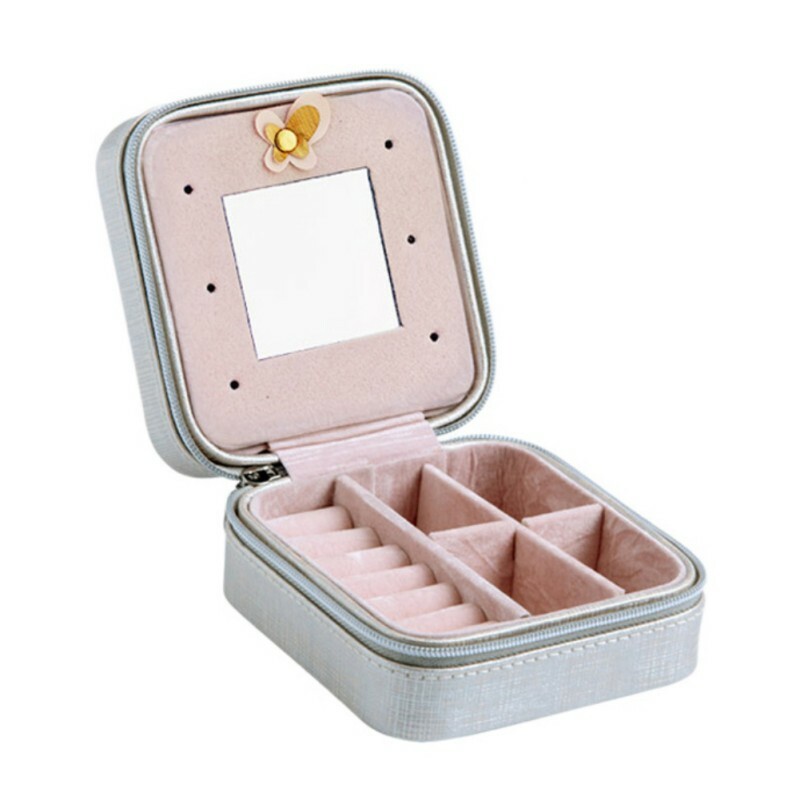 Also the best Valentine's Days Gift, Birthday Gift, Mother's day Gift, Christmas Gift for her.